Dr. Wanda Dyson provides patients with a number of different skin tightening treatment options. 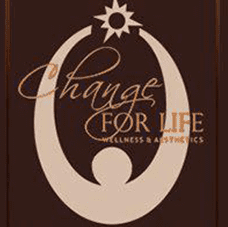 At Change for Life Wellness & Aesthetics in Washington, D.C. area and beyond, cutting-edge technology and the latest medical knowledge is put to use to help patients obtain the best possible results. Skin is the largest organ of the human body and serves a number of important functions. Over the course of time, the appearance of skin will undergo a number of changes. Aging is the most common factor that leads to sagging skin, which is a condition that no one is able to fully avoid. As we age, our skin naturally loses a great deal of collagen and elastin, which are the tissues that create the plump appearance that is associated with youth. Muscle tissue can also weaken over time, which can cause skin to drape and wrinkle. It should also be noted that many people who achieve significant weight loss will experience sagging skin as a result. What are the treatment options for sagging facial skin? Many patients are concerned about the deterioration of the tone and firmness of their facial skin. Fortunately, there are a number of treatment options to help address sagging facial skin, many of which are non-invasive and require little to no downtime. Chemical peels are one option and work by removing the outer layer of dead skin cells and accumulated pollutants on the surface of skin. Another option is known as MesoGlow, and works to counteract damage caused by free radicals in the environment, and improves the overall tightness and appearance of the skin. A number of different dermal fillers can also be used to add plumpness to areas of the face where skin has sagged. What options are available for sagging skin on other areas of the body? Many patients achieve excellent results after a series of treatments using radiofrequency therapy. The TriPollar device is among the most powerful cutting-edge technologies available to treat sagging skin on various areas throughout the body. Women who have given birth and are unable to achieve the desired degree of skin tightening on their stomach have had very good results through TriPollar therapy.